EXCLUSIVE: Scotch whisky distilleries Bruichladdich and InchDairnie have each created what are believed to be the first commercial pot still rye spirits made in Scotland for more than 200 years. By coincidence, Islay’s Bruichladdich and recently-opened Fife plant InchDairnie ran their rye distillations in the same week during November, signalling a revival of the grain in Scotland after a lengthy hiatus. While other producers, including Lone Wolf, have distilled with rye, these are thought to be the first commercially-sized, rye-dominant pot still distillates using the grain in Scotland for more than 200 years. 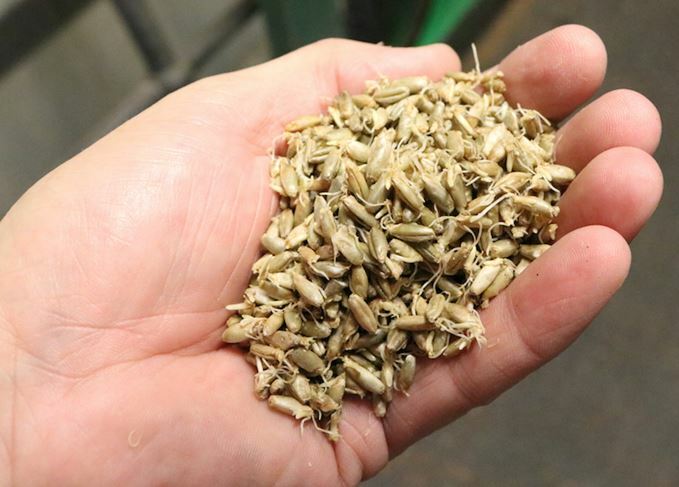 InchDairnie’s ‘Ryelaw’ project – the name comes from a neighbouring farm – started this year with experiments in malting, mashing regimes, yeast selection and micro-distilling taking place off-site with a number of specialist firms. In November, a mixed mash of 56% malted Scottish rye and 44% malted barley, both sourced from Muntons, was run through the distillery’s mash filter and then fermented with a specially selected yeast. The Ryelaw spirit was distilled once in a pot still and given a second distillation in InchDairnie’s ‘Lomond Hills’ still, which has fixed reflux plates in its neck. This yielded 40,000 litres of new make spirit, which is being aged in new American Ozark oak barrels. When judged ready, it will be the first release from InchDairnie, which opened in May last year. The rye for the 2018 campaign has already been purchased, and a local Fife farmer has been contracted to grow the crop for subsequent years. ‘We chose rye because of flavour,’ said Ian Palmer, InchDairnie managing director. ‘For me, a lot of the flavours which other distillers are working with have been wood-driven – particularly through finishing. Meanwhile, Bruichladdich planted 10 acres of rye on Islay which, after a ‘challenging’ harvest, yielded 13 tons of grain to process at the distillery. This was used unmalted, along with 45% malted barley, in five mashes. In an effort to understand how the rye would behave, slightly different techniques were used, such as the order in which the two grists were put into the mash tun, and the mashing temperature. The distillate is being aged in a mix of new American oak, first-fill Bourbon and some new French oak. Lone Wolf in Ellon has been running experimental batches of rye since June 2016, when it trialled a 40% rye/60% malted barley mash. This was followed by a 60:40 mashbill in August this year, while a 30:70 mash is scheduled to be run next week – the first commercially-sized batch. The distiller is planning for rye to become a permanent fixture of its whisky portfolio in the future and is still aiming to make a 100% rye whisky. Meanwhile, another new distillery, Arbikie in Angus, is now ageing a high-strength rye spirit created two years ago using a column still. At least one major distiller is also believed to have experimented with the cereal. Rye was used in mixed mashes in Scotland during the 18th and early 19th centuries, and in column stills at the end of the 19th century. More recently, there has been an explosion of interest in rye whiskeys produced in the US, prompting world-leading blended Scotch Johnnie Walker to release experimental rye cask-finished whiskies. When released, the rye-dominant Bruichladdich and InchDairnie whiskies will both be classified as ‘single grain’ Scotch – that is, grain whisky produced at a single distillery – because ‘single malt’ must be made using 100% barley. Both whiskies will also qualify as rye whiskies under the US definition, which calls for a mashbill containing at least 51% rye.